The Zoella Jelly & Gelato Collection. I was so excited when I first saw that Zoe was releasing a new collection last month – and when I saw the theme, I was even more eager to get my hands on some of the products! As I’m usually used to speedy Superdrug delivery, the four weeks shipping to Canada was definitely a bit of a nuisance… but they’re here now and I can’t wait to talk about them more in this post. I’ve stocked my shower up with the Zoella Beauty Gelato Shower Shake and Gelato Shower Sauce as the perfect shower combination for the summertime. I love using the shower sauce for morning showers when it’s hot, but I know the shower shake will be perfect when it gets a little cooler in the Autumn and I need something more moisturising for my skin. The scent is strong but not overpowering, but it’s definitely very sweet – the jelly fragrance definitely comes through. I do have to follow up with a good moisturiser after the shower sauce because it can be drying, but I do that anyway so I don’t mind too much. The Zoella Beauty Gelat’eau Body Mist was at the top of my list when I first saw the collection because I’ve always been such a fan of the scents that Zoe has bought out. This one is definitely no different, it’s a really gorgeous summery fragrance that lasts long enough to pick you up in the morning. The packaging is adorable and it definitely is compact enough to keep in your bag for a quick refresh throughout the day. I think it’s definitely one of my favourites from what I’ve tried from the range so far. 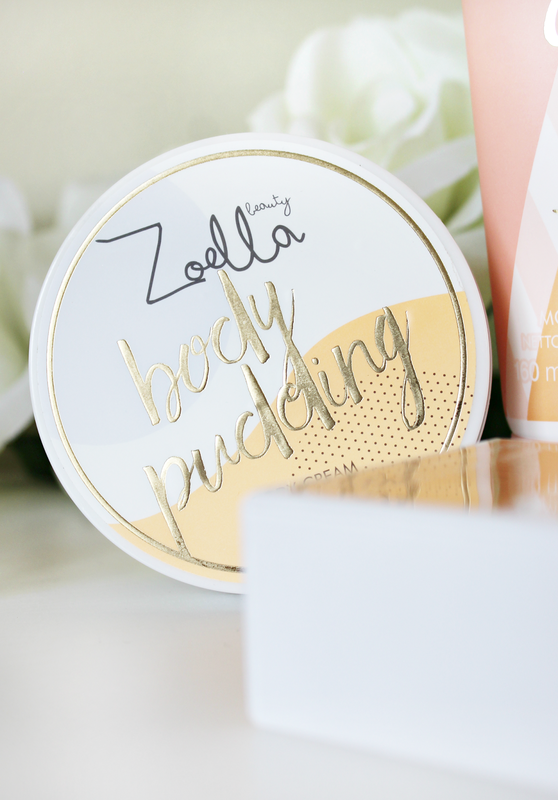 Another product that I absolutely love is definitely the Zoella Beauty Body Pudding Body Cream. I’m all about gorgeously scented, hydrating moisturisers and this one is incredibly light which makes it ideal for summer. I hate the feeling of sticky, rich body butters when it’s hot and humid already, so this has been my absolute go-to for post shower skin hydration. It’s very lightly whipped and melts into skin without leaving any residue – I just wish that it came in a larger tub! This was my first real venture into Zoella’s beauty range and I’m loving this collection so much that I really want to try more! I’d love any recommendations that you might have in the comments. Previous Post Trying Out The Estee Edit.